There have been many impressive and exciting developments of man-made material in recent times, such as the exploration of concrete blends from brands such as Kast, or the sleek, solid surface material of Corian which had a surge of popularity in contemporary interiors. 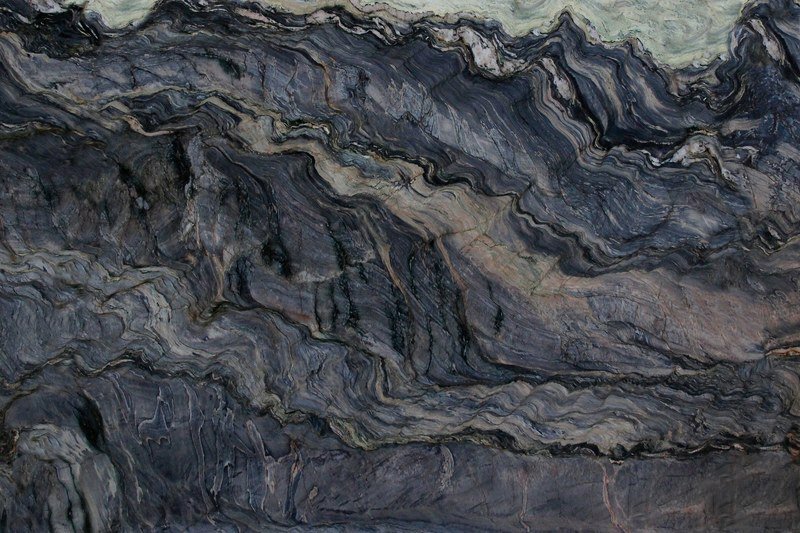 However, we must not forget the extraordinary and stunning material that can be received from the earth, and no matter how notable newly developed material may be, natural stone will never be surpassed. We’re here to remind you of the diversity of stone and how leading interior designers have been creative with it. You may have heard of the prolific Jean-Louis Deniot, who has been at the top of the interior game for some time now; perhaps for his ability to be versatile and not cement himself with a signature design style, instead focusing on an aesthetic that reflects the location he’s been tasked with. Deniot doesn’t shy away from grandeur, filling his interiors with art, sculpture and eclectic furniture, but something he does quite remarkably is to incorporate interior fittings crafted from natural stone. 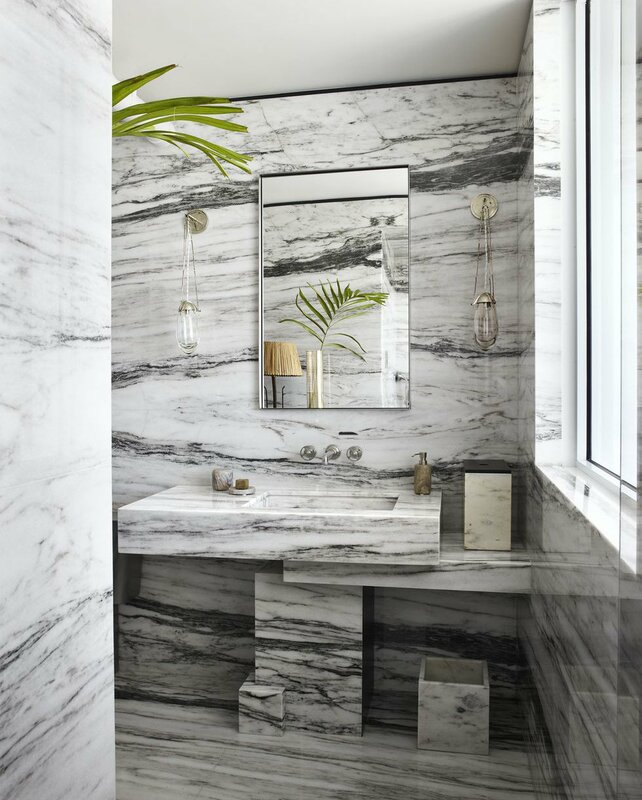 As visible in this bathroom designed for a Miami penthouse, Deniot fitted the entire master bath in textured marble with incredible detail, in order to showcase the extraordinary natural stone. Notice how the walls, floor and cut-out vanity are panelled so that the intricate pattern flows seamlessly across the space. 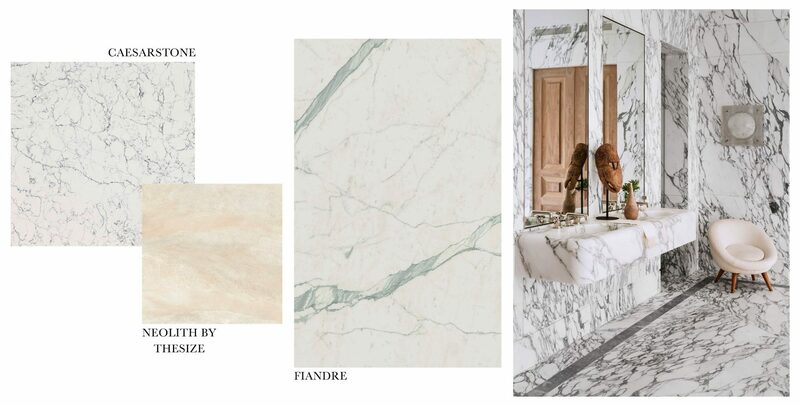 If you feel swept away by Jean-Louis Deniot’s white marble master bath, we’ve pulled together a few swatches of stone varieties in heavenly pale tones. Jean-Louis Deniot has become somewhat an interior icon, meanwhile a designer who’s plummeted to popularity this year is Ryan Saghian. Saghian is extremely daring with his design style; he’s not afraid to pattern clash and often opts for darker colour palettes in unconventional spaces, such as the traditionally white bathroom. Fond of geometry, the designer is known for using parquetry, a technique more commonly used for wooden flooring. Saghian re-works this traditional method using stone and marble, either in contrasting varieties or cut from the same stone to create a unique pattern-on-pattern effect. The heavy use of pattern may be elaborate, but the dark and natural tone of the material maintains a sense of calm and certainly feels luxurious. If Ryan Saghian’s unorthodox bathrooms inspire you, explore stone varieties in mysterious dark tones and breathtaking natural vivid colour.